OFDT is the primary government agency in charge of federal programs involved with detainment of people in the custody of the United States while they wait for a trial or immigration proceedings. It also manages the Justice Prisoner and Alien Transportation System (JPATS). Until September 2001, the confinement of persons in federal custody awaiting a trial or immigration procedures had been the responsibility of both the U. S. Marshall’s Service (USMS) and the former Immigration and Naturalization Service (INS). But there had been growing concern among Department of Justice (DOJ) officials about the safety, cost, and efficiency of such a fragmented approach, especially as the number of detainees had been significantly increasing since the mid-1990s. Eventually those issues were the catalyst for the DOJ Appropriations Act of 2001, which, when Congress approved it, led to the creation of OFDT, with the objective that it would centralize the supervision of functions relating to the detention of federal prisoners and aliens awaiting adjudication and/or removal from the United States. In 2005 OFDT was also given the responsibility of managing JPATS. OFDT oversees and coordinates detention activities for the DOJ, and with the U.S. Department of Homeland Security, Immigration and Customs Enforcement (DHS/ICE). It’s in charge of seeing that detained persons are provided safe, secure and humane confinement in the most cost-effective manner, and appear when they’re required to for judicial proceedings or confinement. In addition, it monitors facilities to make sure their performance level is up to agreed standards; develops and implements strategies to deal with potential detention crises; negotiates and awards contracts in support of operational needs; and formulates recommendations and projections on population trends, bed space availability, and costs of state and local government, versus private facilities. It also recently created an e-Designate program, a secure electronic web-based system that automates the sentencing to commitment process, and accelerates the movement of prisoners. 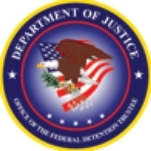 The system has increased efficiency for OFDT in its managing of JPATS, one of the largest transporters of prisoners in the world, which provides centralized transportation services to USMS, Bureau Of Prison inmates, and ICE deportable aliens, moving over a thousand individuals a day between judicial districts, correctional institutions, and foreign countries. OFDT has also developed DSNetwork (PDF), a multifaceted consolidated detention services website which aids in handling of scheduling, collecting and maintaining data, long-range planning, and improving interaction between government agencies and service providers. Stakeholders include American citizens in neighborhoods where there are proposals for new detention centers to potentially be built; detainees and their legal representatives; private facilities hoping to garner contracts to house federal detainees, and technology businesses hoping to garner contracts for OFDT to utilize their equipment and/or services. since July 5, 2010. He warned a bachelor’s of science degree in criminal justice at Michigan State University and a master’s degree in forensic sciences at George Washington University. Pearson joined the Army in 1972, trained as a paratrooper, and became an Airborne Ranger. Once, while serving in Germany, he had to parachute out of a plane at 500 feet when it developed engine trouble. This earned him membership in the “Caterpillar Club” because he met the requirement of making a jump to save his life. In 1991, while a lieutenant colonel, he was commander of the Germany-based 793rd Military Police Battalion in charge of transferring prisoners of war during the first Gulf War against Iraq. Two days after taking over as the commander of military police at Fort Hood in Texas, in 1994, then-Colonel Pearson was put in charge of setting up and operating a camp for more than 14,000 Haitian refugee “boat people” at the Guantánamo Bay Naval Base. After serving 24 years in the U.S. Army, primarily as a military police officer, Pearson joined the Immigration and Naturalization Service in 1997 as chief of field operations. 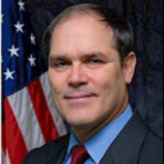 He was the executive associate commissioner for field operations, the agency’s number three position, until 2002. He then went to work for the U.S. Marshals Service as assistant director for asset forfeiture and management support divisions. Pearson is married and has two sons. On September 17, 2010, President Barack Obama nominated Stacia A. Hylton to take over as director of the U.S. Marshals Service. She was confirmed by the Senate on December 22. Hylton earned her B.S. in Criminal Justice in 1983 at Boston’s Northeastern University, which she attended on a full athletic scholarship. She began what is now a 30-year career in law enforcement in 1980, serving until 1991 as a member of the Marshals Service Special Operations Group dive team, helicopter repel and stabo team, and as a water survival instructor. She has also been Assistant Director for the United States Marshals Service Prisoner Operations; Chief Deputy for the District of Columbia; an instructor at the Federal Law Enforcement Training Center; an inspector in the Witness Security Program; and Chief of the Marshals Service Court Security Program. Additionally, she served in field operations in the District of Columbia, the Southern District of Florida, and the Eastern District of Virginia. 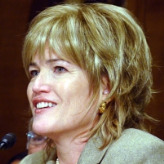 From January to June 2001, Hylton was designated by the Attorney General to be Acting Deputy Director of the U.S. Marshals Service. Also in 2001, she was Operational Commander for the Vieques, Puerto Rico, operation, and Incident Commander for the Marshals Service Emergency Response Team at Ground Zero after the September 11th terrorist attacks. In 2003 she was designated by the Director of the Marshals Service as the Agency Deciding Official for all adverse actions. She was appointed Federal Detention Trustee by Attorney General John Ashcroft on June 14, 2004, and served until February 2010. In this position, she was in charge of federal detainees awaiting trial or immigration proceedings. She then formed Hylton Kirk & Associates, a consulting firm. In 2010 she received $112,500 in consulting fees from The GEO Group Inc., a private prison company that does extensive business with the Marshals Service. Hylton has been an active member of the Highlands Swim and Tennis Club in McLean, Virginia.